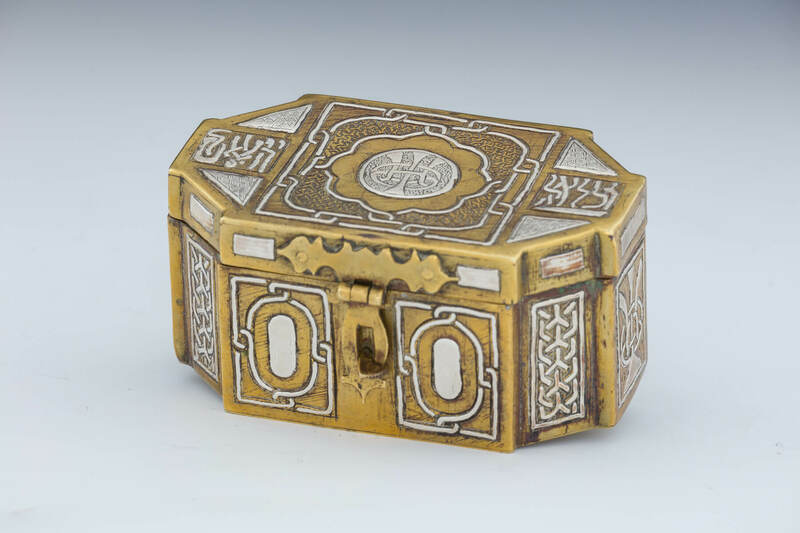 A DAMASCENE JEWELRY BOX BY BEZALEL. Jerusalem, c. 1920. Decorated with silver inlay and center Bezalel cartouche. 3.7” wide.